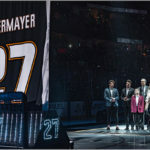 Back in the 1991-92 season, as a part of the NHL’s 75th Anniversary celebration, all teams appointed a celebrity captain. 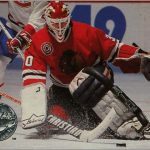 Some teams went with former players, such as Maurice Richard (Canadiens), Terry O’Reilly (Bruins) and Gordie Howe (Whalers, surprisingly; the Whalers actually had two celebrity co-captains: Howe and singer Susan St. James). Other teams appointed actors or musicians with local ties. 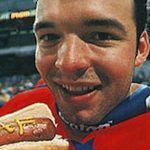 The Blackhawks had James Belushi as their celebrity captain, while the Penguins went with Pittsburgh native Fred “Mister” Rogers. 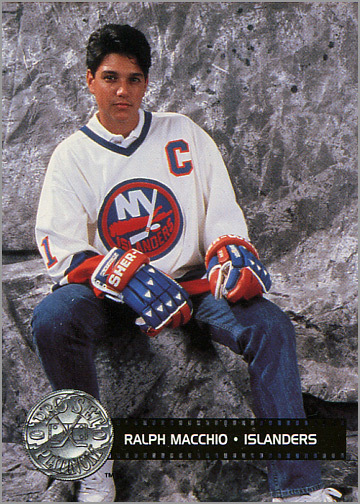 Macchio, who was born on Long Island and had several prominent acting credits to his name, made sense as the Islanders’ celebrity captain. 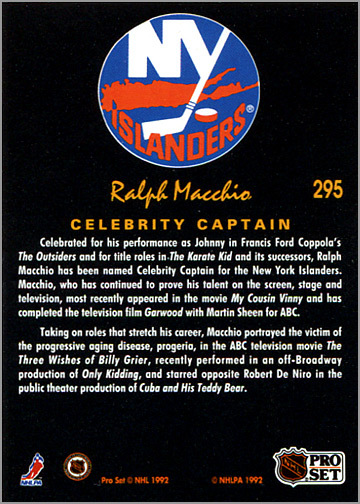 Celebrated for his performance as Johnny in Francis Ford Coppela’s The Outsiders and for title roles in The Karate Kid and its successors, Ralph Macchio has been named Celebrity Captain for the New York Islanders. Macchio, who has continued to prove his talent on the screen, stage and television, most recently appeared in the movie My Cousin Vinny and has completed the television film Garwood with Martin Sheen for ABC. Taking on roles that stretch his career, Macchio portrayed the victim of the progressive aging disease, progenia, in the ABC television movie The Three Wishes of Billy Grier, recently performed in an off-Broadway production of Only Kidding, and starred opposite Robert De Niro in the public theater production of Cuba and His Teddy Bear. 1. Macchio was born on Long Island. 2. Macchio starred in the film Crossroads, which culminates in an epic guitar duel between him and Steve Vai….for his soul! 3. 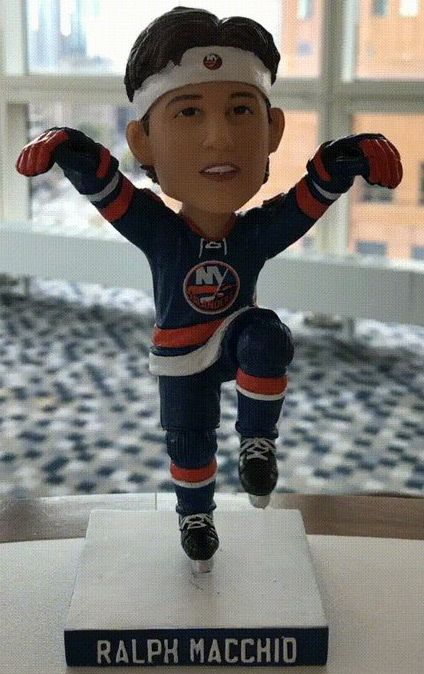 Macchio has been a huge Islanders fan since the mid-1970s. Actually, the Whalers celebrity captain was actress Susan St. James. Not quite sure why. Great article. But wasn’t Susan Saint James celebrity captain of the whalers? 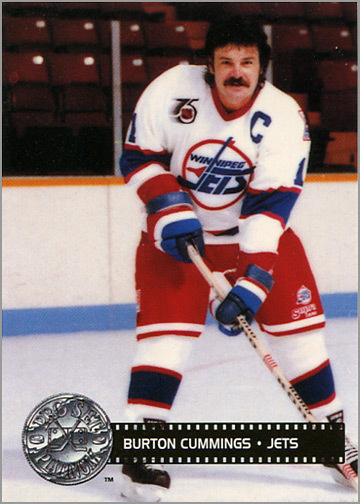 The Whalers had two celebrity captains that year. 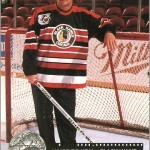 We only remember Susan St. James because she had a card in the 1991-92 Pro Set Platinum Series Two Hockey set. Love the Macchio card from the Platinum series. 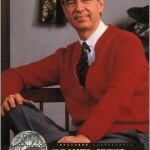 I was among the eye-rollers when I first saw it as a 16-year-old but I have come to respect his inclusion. It was a fun subset with at least one very serious die-hard amongst those honoured with a card. Ralph is a Long Islander and a devout follower of his (and mine!) beloved Isles. He is worthy! Plus he’s the Karate Kid. No small chops there!~Great job as usual Sal with this piece!